Food Systems Researcher. Climate Change Educator. Uniting research and practice, I educate and develop curriculum about food systems and climate change. As a Ph.D. student at the Energy and Resources Group (ERG) at U.C. Berkeley, I am focused on research in and education for a sustainable environment and a just society. My research integrates experiential approaches to climate change education through practical applications of sustainable agriculture in school gardens and farm settings. My future goals are to work in farm-based education and develop the concept of a Climate Farm School for educating youth about climate resilient food systems. 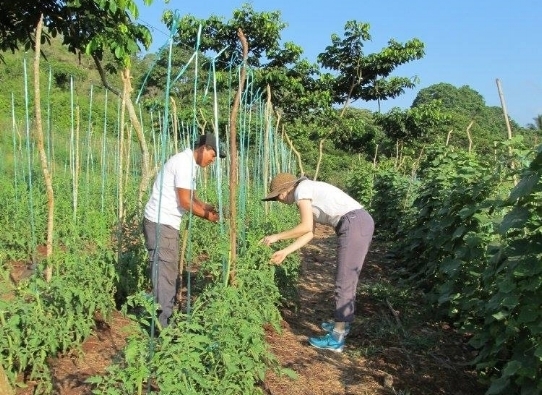 Learn more on the Projects, Curriculum, and Climate Farm School pages. All photography provided by Alana Siegner or research partners. Find out about past and current research projects, fellowships, research collaborators, academic publications, and farming experience under the ABOUT tab. Want to collaborate on a research project? Visit the collaborators page. Interested in supporting the idea of a farm school for climate education? Visit the Climate Farm School page and find out how to donate.